We've covered the details about the new Apple TV, which was announced in last month's big reveal that centered largely on the iPhone 6s. In this post, I'm going to look a little closer at the specific potential of the Apple TV to disrupt the video game industry, as well as some of the games that are liable to become major focal points for TV players. If you haven't viewed the specs and features of the new Apple TV, The Verge did a pretty nice job of covering its gaming capabilities. Basically, the new system will bring a diverse range of titles we know from the iOS app store to the big screen. They're made playable through a new remote that's described by The Verge as possibly the "holy grail" of game controllers—it's apparently intuitive for non-gamers and gamers alike. As of now, it seems pretty much like a simplified version of the Wii remote coupled with the PS4's on-remote touchpad. Naturally, this combination of basic features that comprise the Apple TV's gaming aspect holds enormous potential. The transfer of popular app games to a bigger screen not only enhances existing games, but should entice developers to tweak new versions of these games specifically for TV optimization. Additionally, the simplicity of the remote will make for an easy adjustment for folks used to playing on smartphone screens, and a quick learning curve for those just starting out with app games. But more interesting than the features alone is the idea of certain games and gaming genres being transferred from small to big screens without the actual requirement of a console development. These are just a few of the most enticing possibilities. This is a broad category that isn't actually specifically defined, but when you hear "console imitation," you may think of anything from the Infinity Blade series to the recently released mobile accompaniment to Madden. That's exactly the idea here. By now there are already dozens of games that either serve as mobile versions of existing console titles or strive to come as close to matching that quality as possible on a mobile platform. 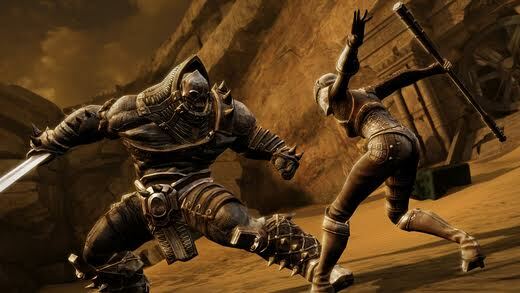 Gamespot quoted one of Infinity Blade III's developers as challenging the true notion of "next-gen" gaming. He suggested that his mobile titles, rather than PS4 or Xbox One games, were the true future of gaming. If titles such as Infinity Blade III become playable on Apple TV, that developer may just be dead on. The idea of the best app games being blown up to big screens could certainly render at least some console experiences unnecessary. We've all tried the cheesy app poker game here or there, but the truth is that a much more sophisticated mobile casino genre already exists; it's just not able to be popular in the United States yet. Betfair provides a full range of gaming options to mobile users on iOS and Android platforms already. Poker, blackjack, roulette, and even slot machines based on various pop culture themes make for what amounts to a full digital casino. And with the company already having made in-roads in New Jersey (where online gambling is legal), it's easy to see expansion in the U.S. as online gambling legislation is inevitably passed. These games work well enough on smaller screens but the chance to simulate a poker tournament on the big screen—not unlike watching such a tournament on a sports channel—would be quite popular with a huge population that enjoys this genre. "A basic entry-level version." That's how Minecraft's "pocket edition" app was once described by a comparison of various versions of the game at Super Cheats. In actuality, the app version of Minecraft has become pretty complete through various updates in the last couple years. The game, at least for players who prefer creative mode (as opposed to survival), now offers a satisfying range of options. But it's also somewhat frustrating in that you just can't enjoy the same scope that you get on PC or an Xbox. That problem—one that exists not just in Minecraft but for other world-building and city simulation games—could be completely solved by Apple TV adjustments. Even without consideration for new gaming features, just imagining the cheap simplicity of Minecraft pocket edition blown up on a television screen makes for a more satisfying experience. This may sound like something of a niche category, but it's actually one that's expanded quite a bit in recent years. It also frequently hosts some of the most carefully designed app games, often from indie developers. From The Room, to Device 6, to Year Walk and beyond, there are a many recognizable titles that are playable essentially as point-and-click mystery solvers but which thrive on engrossing atmospheres. Some of these games are even recommended to be played in the dark or with headphones on, so as to be fully immersive. Naturally, the idea of such a game on a larger screen in a dark room (possibly with surround sound?) is even more appealing. Really, it's a strange concept when you think about it: The app gaming market made video games smaller and simpler, and the Apple TV now carries the potential to make those same games bigger and more complex. But in a way, this holds enormous potential to disrupt the video game industry. Apps have whittled games down to core elements necessary to entertain, and it's those elements that could be amplified by adaptation to the TV, rather than the useless filler that plagues so many existing console experiences.